Domain name is an identity of your blog on the internet. Just like we all are named, a blog also needs an address. However, the process of buying a domain name requires a little bit of research. Especially newbies find it difficult. So here is step by step guide on how to buy a domain name for your blog. There are several domain registrars who can park a domain name for you. 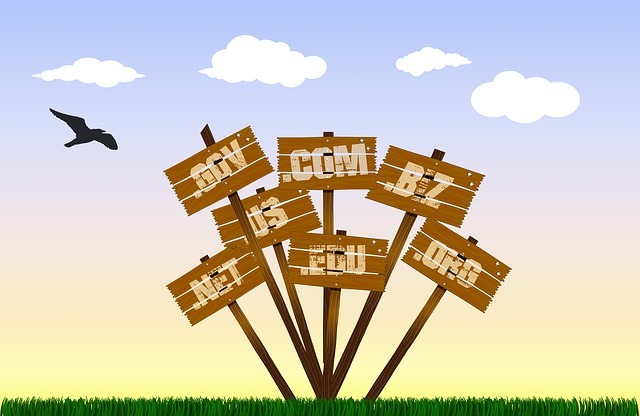 However, there are pros and cons of buying domain name from all of them. Also, you have to be careful while choosing a domain name for your blog. That’s because domain name is something that you are not going to change frequently. You should consider the following points while choosing a domain name for your blog. It should be as short as possible because that’s easy to remember. It should be unique. Do not copy other blog’s name as that doesn’t look creative. It should match the niche of your blog. If your blog is related to fashion niche and you name it after a sport you like. Will it look good? No, right? Choose TLD according to the type of traffic that you want your blog to be identified for. For example, if majority of your traffic is from USA then you can consider .us domain. As you may be already knowing that most of the common domain names are already taken. So if you encounter similar situation then reconsider all of the above points till you find the perfect one. You can use GoDaddy search tool to find the availability of the domain name that you are looking for. Once your have your domain name ready, you can go ahead and buy it. As I said earlier that there are various companies who offer domain registration service. You will first have to register an account with them. Companies like GoDaddy, 1&1 Internet Inc., Hostgator etc. can provide you the domain name that you are looking for. However, when it comes domain name, GoDaddy is probably the best in the industry. You get it for very cheap price compared to others in the market. Once you have added the domain name to your cart, you will be prompted with several other options. One of the options could be a hosting plan along with the domain for free. You can purchase web hosting if you require that too because these are usually nice deals. You get domain name free for at least one year along with it. The other notable option that you should consider while buying a domain name is “privacy protection”. This option usually costs you couple of dollars extra. If you do not add this then your private information such email address, street address etc. will be publicly available to others. These information gets available from WHOIS database. So to protect your information you can add this but if you are comfortable sharing then you can exclude this one. Apart from this, you are also charged for ICANN fees which is nearly $0.18 for a year. Once you have chosen the options, you can go ahead and checkout with the account that you have created. The domain name will be added to your account. Further, you can map your domain name using DNS settings in your account. Domain name usually costs anything from $5-$20 for a year. There are some domain names which are in high demand. Such domain names can be of thousands of dollars. You do not get much of discount when you are purchasing domain name for only a year. But, you can get a decent discount from these companies if you register it for 5 or more years. So if you are planning to buy a domain name for long term then you can consider that option too. That’s pretty much it on buying a domain name for your blog. Its matter of few minutes but yet very important for your blog.